2008: New Voices: Where Have We Been? Where Are We Going? 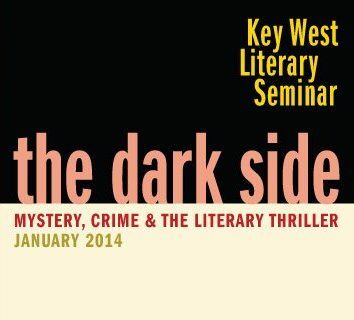 Coverage of the 2014 Seminar: "The Dark Side: Mystery, Crime & the Literary Thriller"
Presenters: Megan Abbott, John Banville, Alafair Burke, Stephen L. Carter, Lee Child, Billy Collins, Michael Connelly, Thomas H. Cook, Percival Everett, Lyndsay Faye, Gillian Flynn, Elizabeth George, Tess Gerritsen, William Gibson, James Gleick, Sara Gran, James W. Hall, Carl Hiaasen, Joseph Kanon, John Katzenbach, Michael Koryta, William Kent Krueger, Laura Lippman, Attica Locke, Mary Morris, Malla Nunn, Joyce Carol Oates, Sara Paretsky, Otto Penzler, John Sandford, Jonathan Santlofer, Alexander McCall Smith, Les Standiford, Scott Turow, and Lisa Unger. 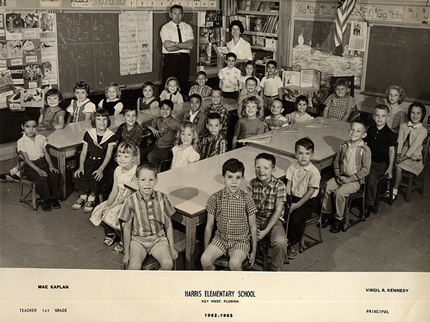 Writers’ Workshop Faculty: Paulette Alden, Madeleine Blais, Billy Collins, James W. Hall, E.J. Miller Laino, Beverly Lowry, Daniel Menaker, Mary Morris, Porter Shreve, Susan Richards Shreve, and Dara Wier. 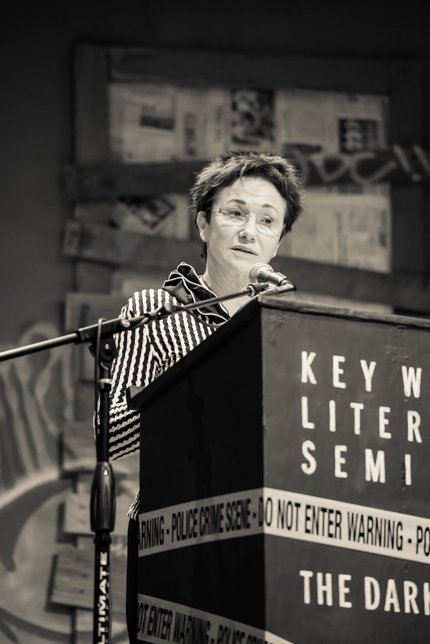 KWLS board president Lynn Kaufelt during opening remarks. Photo by Nick Doll. The stage setup for the 32nd Annual KWLS. Photo by Nick Doll. Keynote speaker author Sara Paretsky giving the John Hersey Memorial Address, "My Quest for Heroes: Voice and Voicelessness". Photo by Nick Doll. A reception at the Hemingway House. Photo by Nick Doll. Authors Megan Abbott, Laura Lippman and Gillian Flynn during a reception at the Hemingway House. Photo by Nick Doll. KWLS Executive Director Miles Frieden with former Poet Laureate Billy Collins during a reception. Photo by Nick Doll. Author Joyce Carol Oates during a reading of "The Matiff". Photo by Nick Doll. 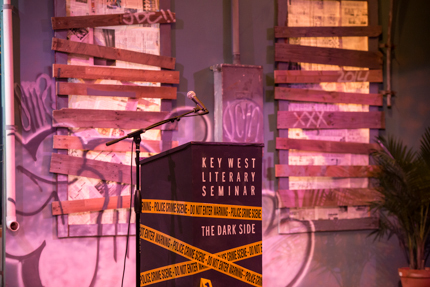 Author Gillian Flynn during her panel, "Dark sides are important. They should be nurtured like nasty black orchids". Photo by Nick Doll. 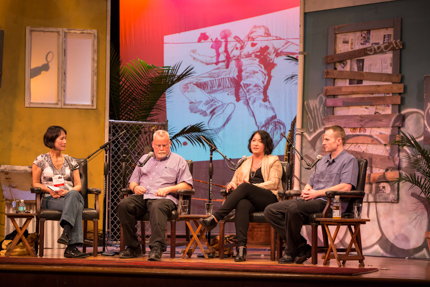 (L-R) Moderator Jonathan Santlofer and authors John Sanford, Megan Abbott, John Katzenbach and Sara Paretsky during the panel, "Crime writers are not psychotic. They're just like you". Photo by Nick Doll. 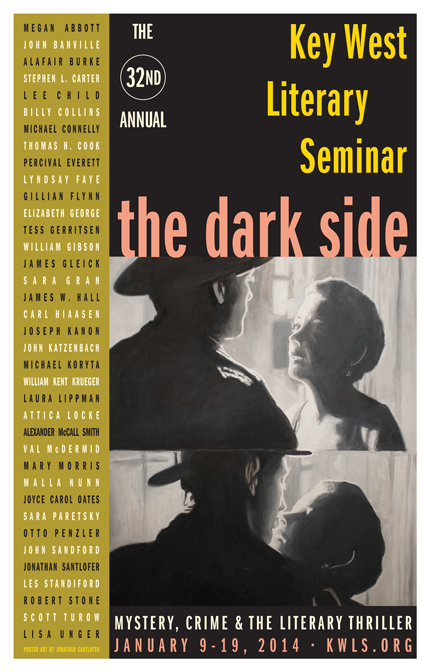 Author Joyce Carol Oates with Jonathan Santlofer during the panel, "Literature, Shadows and the Dark Side of Life". Photo by Nick Doll. 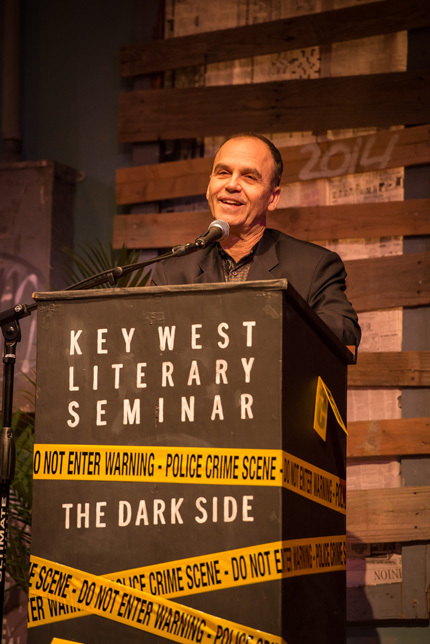 Author Scott Turow. Photo by Nick Doll. Authors William Gibson and James Gleick during the panel, "Beyond Genre". Photo by Nick Doll. Authors Joyce Carol Oates, Sara Paretsky and Scott Turow sign books for seminar attendees. Photo by Nick Doll. The book sale for the 32nd Annual KWLS. Photo by Nick Doll. Former Poet Laureate Billy Collins. Photo by Nick Doll. 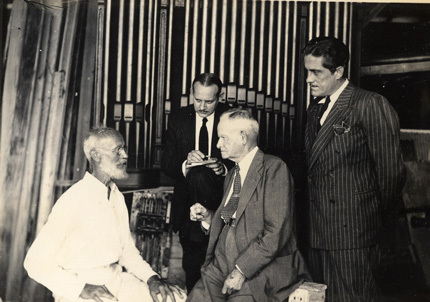 Authors Attica Locke, Joseph Kanon and Stephen L. Carter during the panel, "The Moral Impulse in a Shadowy World". Photo by Nick Doll. KWLS Executive Director Miles Frieden. Photo by Nick Doll. 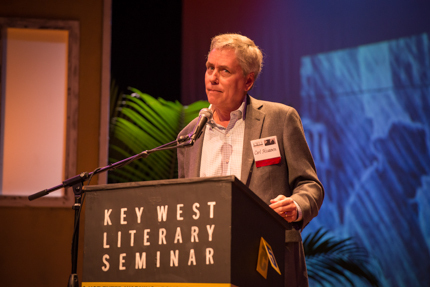 Author Carl Hiaasen during the John Malcolm Brinnin Memorial Event, "The Florida Freak Show". Photo by Nick Doll. Authors Gillian Flynn and Carl Hiaasen during the panel, "Bad Monkeys and Gone Girls". Photo by Nick Doll. Author Carl Hiaasen during his book signing. Photo by Nick Doll. 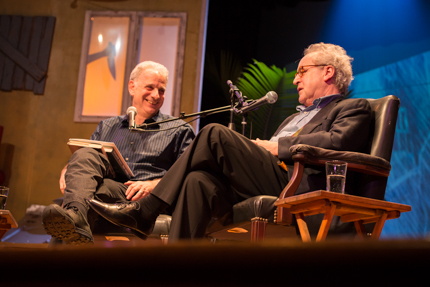 David Wolkowsky and writer Laurent de Brunhoff during a reception held at the Wolkowsky home. Photo by Nick Doll. Author James W. Hall. Photo by Nick Doll. The crowd during the 32nd Annual KWLS. Photo by Nick Doll. The panel, "Crime Fiction and the Literary Canon" with writers Jonathan Santlofer, Les Standiford and James W. Hall. Photo by Nick Doll. Author Alexander McCall Smith. Photo by Nick Doll. Author Megan Abbott during her panel, "There's Something Dangerous About Teenage Girls". Photo by Nick Doll. The panel "The Law is a Jealous Mistress" with authors and attorneys Scott Turow and Stephen L. Carter. Photo by Nick Doll. Authors Attica Locke, Joseph Kanon and Stephen L. Carter sign books for seminar attendees. Photo by Nick Doll. "The Joys and Sorrows of Genre" panel with writers (L-R) Jonathan Santlofer, Laura Lippman, Joseph Kanon, William Gibson and Scott Turow. Photo by Nick Doll. Author William Gibson during his book signing. Photo by Nick Doll. The panel, "The Dark Side and the Restoration of Order" with writers (L-R) Jonathan Santlofer, John Sandford, Stephen L. Carter, William Gibson and James W. Hall. Photo by Nick Doll. Keynote speaker author Elizabeth George giving the John Hersey Memorial Address, "Writing in the Dark, from the Dark, about the Dark". Photo by Nick Doll. Board members Michael Blades and author Judy Blume with KWLS board president Lynn Kaufelt and seminar attendee Ann Henderson. Photo by Nick Doll. Author Lisa Unger. Photo by Nick Doll. 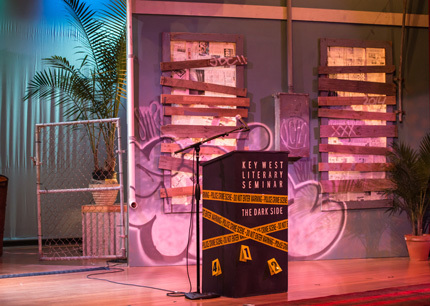 Publisher Otto Penzler during his panel, "A Life of Crime". Photo by Nick Doll. 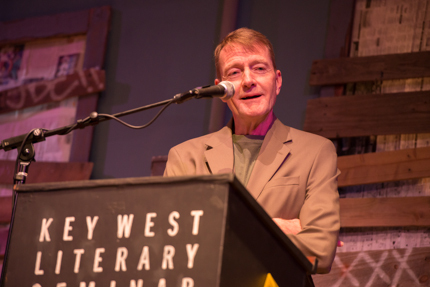 Author Lee Child during his panel, "The Prehistoric Roots of Storytelling". Photo by Nick Doll. Author Malla Nunn during her panel, "A Beautiful Place to Die: Writing crime from the dark heart of Africa". Photo by Nick Doll. 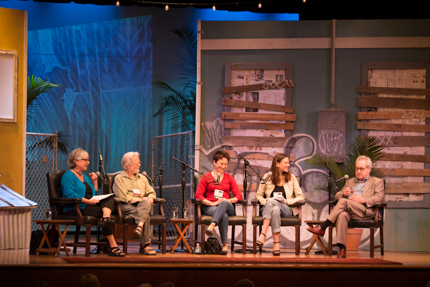 (L-R) Moderator Mary Morris, Thomas H. Cook, Elizabeth George, Sara Gran and John Banville during the panel, "The Beauty and Grace of Language and Plot in Crime Fiction". Photo by Nick Doll. Author Percival Everett during his panel, "I am not Sidney Poitier: The Dark Parody". Photo by Nick Doll. Authors Michael Koryta, Michael Connelly and Alafair Burke during the panel, "Before a Word is Written: The Creative Process Revealed". Photo by Nick Doll. Authors Lisa Unger and Tess Gerritsen during their panel, "Why Crime?". Photo by Nick Doll. Author Benjamin Black during his panel, "Two Hats". Photo by Nick Doll. Author Michael Connelly during his panel, "The Gods of Guilt". Photo by Nick Doll. 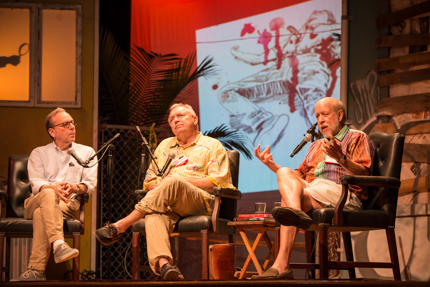 Moderator Otto Penzler with authors Michael Connelly and Lee Child during the panel, "Old Friends: How to Keep It Alive?". Photo by Nick Doll. Authors Percival Everett, Malla Nunn and William Kent Krueger during the panel, "Cowboys, Zulus and Native Americans". Photo by Nick Doll. Author Michael Koryta during his reading, "Not just Spooky: The Uses of the Supernatural". Photo by Nick Doll. 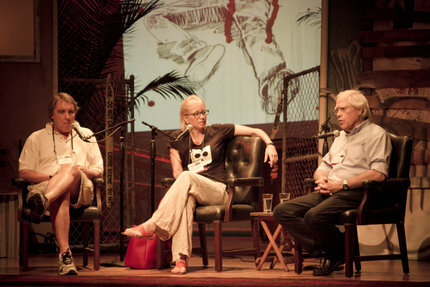 (L-R) Authors Sara Gran, Lyndsay Faye, Thomas H. Cook and James W. Hall during the panel, "What Drives Your Novel?". Photo by Nick Doll. A reception at the Harry S. Truman Little White House. Photo by Nick Doll. Authors Malla Nunn and Lyndsay Faye during their panel, "Historical Fiction: How do you get it right?". Photo by Nick Doll. Crime Writers Are Not Psychotic. They’re Just Like You. Why Crime? 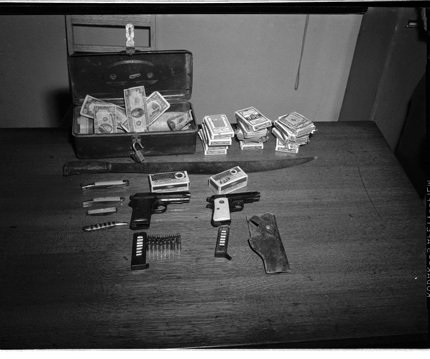 What is Behind our Fascination with Violence, Crime, and Evil? Old Friends: How to Keep it Alive? Real Life: What Did You Make Out of Yours?